The cast of the highly anticipated all-female Ocean’s Eleven remake is beginning to shape up quite nicely. After announcing Cate Blanchett‘s attachment last week, two new set of cast mates are now joining the fold, according to Showbiz411. 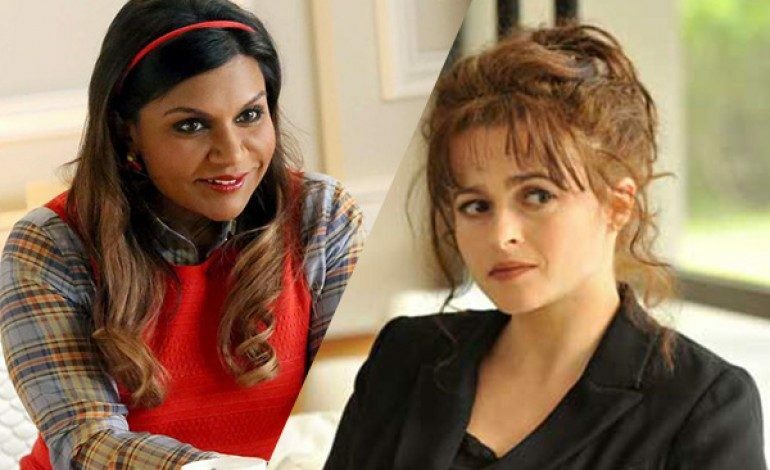 Comedienne Mindy Kaling (The Office) and character-actress Helena Bonham Carter (Alice Through the Looking Glass) are currently rumored to be on board for Gary Ross‘ (The Hunger Games) reboot of the popular heist franchise. Sandra Bullock is leading the charge of female powerhouses as the Danny Ocean-inspired protagonist. She will be followed by eight other partners in crime – if rumors prove to be true – which will now potentially include Blanchett, Kaling, Carter, and possibly a rumored Jennifer Lawrence. If the remaining roles fall in similar order, audiences will have an immensely great ensemble to reckon with. Lawrence’s involvement becomes less and less likely each day, however, without official confirmation, but seeing as her former Hunger Games director is helming the project, it is likely just a matter of arranging her hefty schedule. Kaling, writer and star of her self titled series The Mindy Project – now in its 4th season – has most recently appeared as the voice of Disgust in the Oscar winning animated film Inside Out as well as in Seth Rogen‘s Christmas comedy The Night Before. Bonham Carter can now be seen in theaters as the Red Queen in Alice Through the Looking Glass. She is currently filming 55 Steps with Hilary Swank (Million Dollar Baby) and is starring in the BBC miniseries Love, Nina. Check back for casting updates on the untitled Ocean’s reboot as roles are likely to be filled quickly. Production is set to begin in New York early next year.